The ancient game of Kattam Vilayattu is considered the Indian version of Tic tac toe. 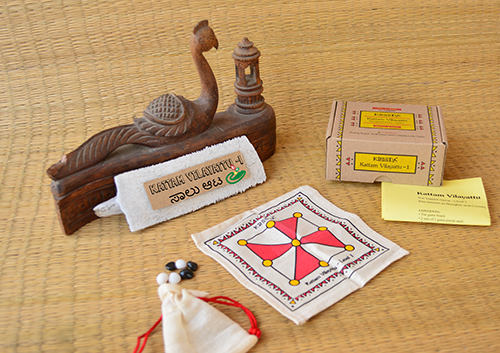 Designed to be a a pocket game, Kattam Vilayattu comes in 3 levels with increasing difficulty. This set is available on a canvas game board, with smooth stones as game pieces.